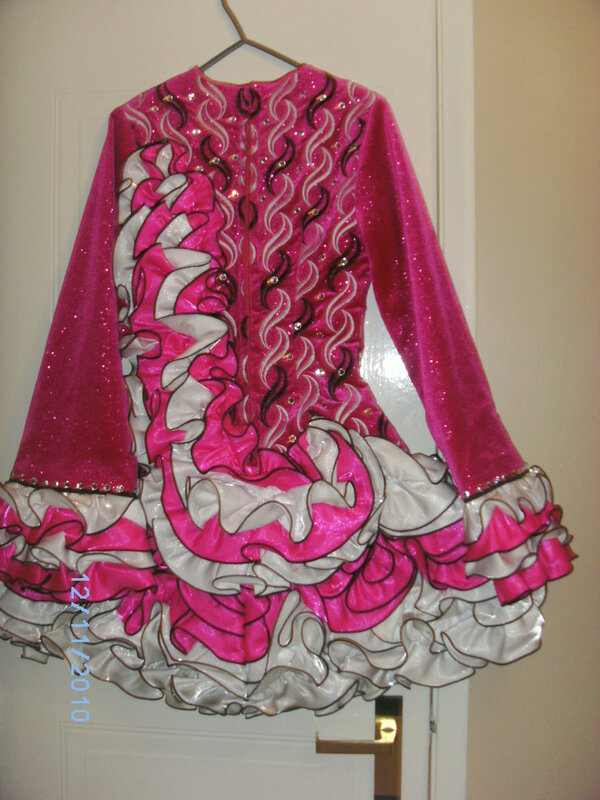 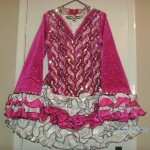 Dress is made of sparkling raspberry pink velvet bodice completely covered with swarovski crystals. 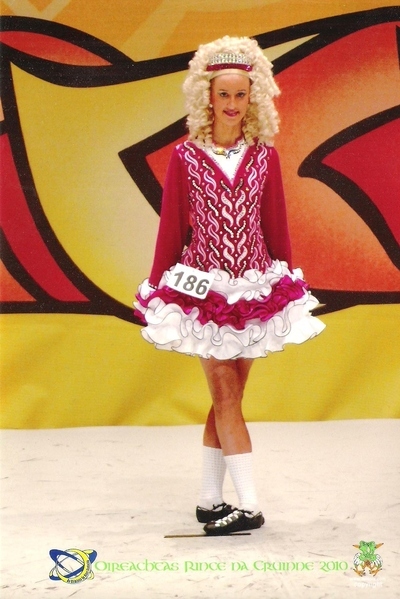 Skirt is made of white and pin soft ruffle skirt. 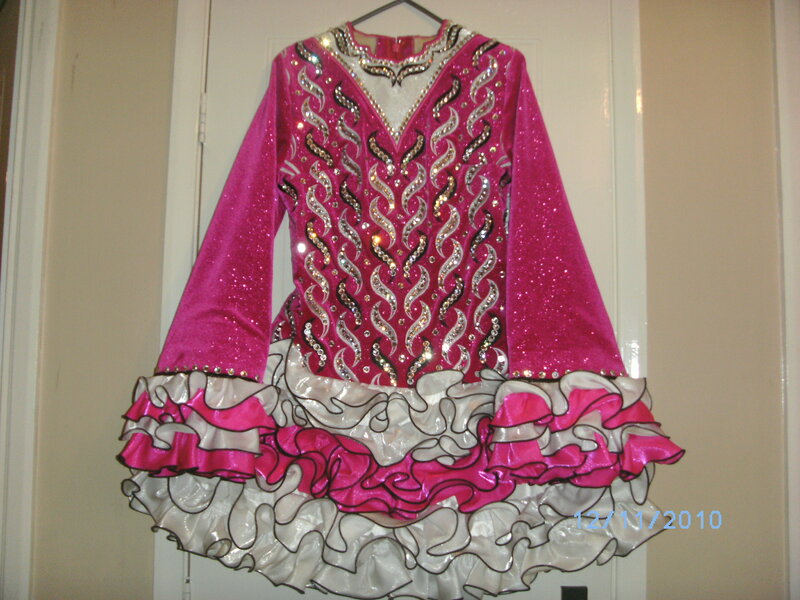 Dress is in immaculate condition. 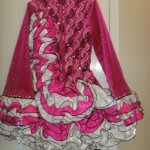 Includes 2 hairbands and bloomers.